The advice I’m reading on the web about potty training is disappointing, to say the least. Potty training in 3 days? One day? Tips and tricks? Shouldn’t we have a little respect? 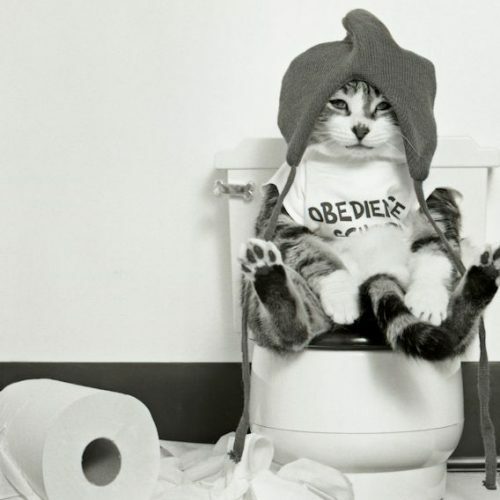 Potty training is not something we do to a child, or ask the child to do to please us. Children don’t need to be bribed with treats and rewards. Using the toilet is something a child wants to do when he is ready, for himself. It is a natural process that is best led completely by the child with our support. Yes, I understand parents wondering, worrying and feeling impatient about successful toilet training, even though it is something every healthy normal child eventually achieves. But we can create resistance, distrust, even shame when we coax a child to the potty one moment before he’s ready. One problem is the word ‘training,’ which gives us the impression that we must be proactive in a process that is best advised to happen naturally. When children are ready, they train themselves. 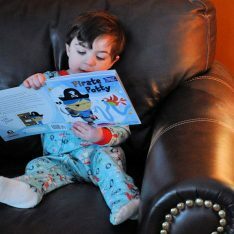 If we are patient and create the atmosphere of acceptance our toddlers need to initiate their transition from diapers to toilet, they master the skill easily, and gain the feeling of autonomy they deserve. Parents lay the groundwork for the child’s readiness when, beginning at birth, we make diaper changes an enjoyable, cooperative time together, and respect the baby by slowing down and talking him through each part of the process. When the child begins to show signs of toilet readiness (he lets you know he has urinated, wants the wet diaper removed immediately, and then begins to tell you before he urinates), it might be time to have a small potty on hand. Then, every person who cares for the child are advised to be on board to refrain from asking the child to use the potty, or nudging in anyway. Some children are extremely sensitive to being pushed in this area, and reactions can be as extreme as holding feces in for days, or having to put a diaper on and hide to be able to have bowel movement for years after having been supposedly ‘trained’. I have seen cases where children began a pattern of resistance when the parent coaxed them to use the potty, and the relationship of resistance continued in other areas into adulthood. Parents must tread carefully when dealing with toilet issues. It is safest to relax, remain patient and allow the child to tell us every time he wants to go to the toilet on his own. The process of self-training can take weeks, even months. Disruptions in the child’s life (a new sibling, traveling) can cause him to backtrack, even after we thought him fully trained. In those cases it’s best to “go with the flow” (so to speak) and keep diapers or pull-ups available well after training seems finished. Trusting our child pays off for everyone. The child takes pride in his newfound autonomy, and his self-confidence grows. By being trusted to ‘let go’ when he is ready, he can ‘hold on’ to intrinsic motivation. After all, if we have to control our bodily functions to please our parents, what can we ever own? 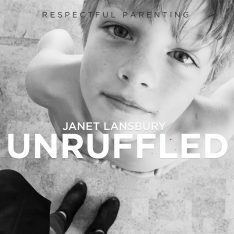 Hi Janet, First of all, thank you for this article and for all the wisdom you bring to the world of conscious parenting. I am a huge fan of your writing. About a month ago, my 26 month old daughter started asking to “make a pee pee in the potty” (we have had one in the bathroom since about 16 months, but I have never encouraged her to use it). She did make a pee pee in the potty without much fuss, and since then has been asking to do it periodically. If she’s naked in the house she will go into the bathroom to use the potty when she needs to pee. But the same time as she started peeing in the potty (the next day or so), she started complaining about a tummy ache and her tush burning. At first I thought something was wrong, but I realized that evening when she made a poop right before bed (which she never does, she goes daily in the afternoon) that the idea of using the potty may have increased awareness of the process of “making” and she seems scared now to poop, whether in the diaper or the potty. I tried to show her pooping on the potty because she seemed to have entered a state of purgatory where she didn’t want to poop in her diaper, but also had no idea how to do it on the potty. I have coaxed her through pooping on the potty a few times (saying things like “let it slide out” “it’s ok to make a doody” etc. ), and she’s very proud after and feels like a big girl, but the idea of pooping has become problematic. I think she is holding her poop. She has pooped every day since she was born, and now she poops every other day, and sometimes every two days. Unfortunately she may have already been biased against pooping by a bad experience with her dad changing her diaper one day and exclaiming about the amount of poop. Because since then she has been apprehensive to have her diaper changed and has repeated the words (“it’s a major doodie??”). I have told her it takes a while to learn the potty and it is OK to make a poop in her diaper or in the potty, but she still seems scared or apprehensive to poop (she’ll be standing around in a diaper and all of a sudden say in a fearful way “it’s ok to make a doodie!”). Unfortunately, I have also rewarded her for pooping in this potty, and I have let her use my phone on the potty, both of which I am against but which I did the first time she pooped in the potty because she had been holding her poop and I just wanted it to come out, and relied on instantaneous advice from people around me instead of really researching the matter. I have no desire to push my daughter to be potty trained and only want her to be healthy and regular. Any advice on how to either let her know it is ok to poop in her diaper, or help her through knowing it’s ok to use the potty for pooping? And undo any negative thinking about pooping or damage I may have done by rewarding her for using the potty? Thank you! Sarah I am going though this exact thing now! Not sure when you posted but how’s it going? I need some advice on this as well! I want to make sure I’m doing the right thing with my daughter. She’ll be 3 in 2 weeks. She’s been naked at home for a couple of months after constantly taking off her nappy. She’s got a potty available and takes herself every time she needs to go. When we go out, I’m still putting a nappy on her because she doesn’t tell me she needs to go. I’ve tried underwear and shorts with nothing under them at home, but so far she just wets herself. I’ve also tried nappy pants to allow her to feel wet, but she just goes and then takes them off. I’ve seen others say that if you put a nappy on sometimes, their muscle memory makes them confused. Is that right? Or is it ok to keep putting her in a nappy until she requested to go while out?